Moira Kelly has saved the lives of hundreds of children and transformed the lives of thousands more through her work in some of the world’s darkest corners. In areas from which most people flee, Moira has offered hope and love to the kids most people have forgotten – from HIV AIDS infected babies, to disfigured children, to kids suffering life-threatening injuries from war. Scott Dinsmore set the world on fire for thousands of people across the globe by encouraging them to forgo mediocrity to live a life they love, through the online platform Live Your Legend. While living his own version of a dream life with his vivacious wife Chelsea, Scott was killed in a climbing accident, aged 33. Chelsea fought through her grief to step up and inspire thousands in her own way. This is their story of dreaming, forging, and living a life of legend. 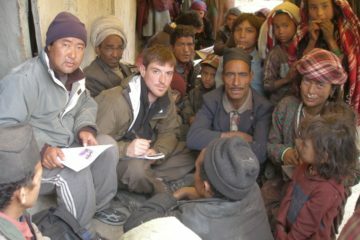 American man Conor Grennan became an unwitting saviour to hundreds of trafficked kids in Nepal after what began as a bid to impress his friends morphed into a life-long bid to reunite parents with their stolen children. 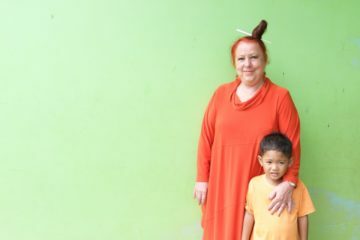 Australian woman Geraldine Cox has rescued Cambodian children from jungle war zones, stared down the face of AK47s to protect kids without parents and remained in a city in the throes of a military coup to stand up for the thousands of kids she’s come not only to protect, but to love through her work at Sunrise Cambodia. While living a glittery life amid the world’s sailing elite, New Zealander Emma Outteridge took time out to volunteer at a school for orphans in Uganda and found herself smitten by the children. She has gone on to find her life purpose by connecting the children she’d come to love, with sponsors from the sailing world who can fund the children’s high school education and give them a real chance at breaking the poverty cycle. 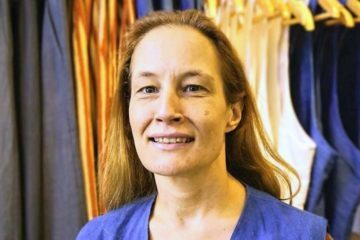 French-born Perth woman Gaelle Beech is committed to transforming fashion from the stuff of sweat shops to a profitable industry that empowers craftspeople in the developing world. Fired with dreams of becoming an artist from an early age, Holly Marsden long relied on art to bring her joy. However, art become so much more to her after she endured a vicious sexual assault. She turned to painting to get her through her darkest days and now guides others to pursue their passion for art. She believes, quite simply, that art has the power to save lives. 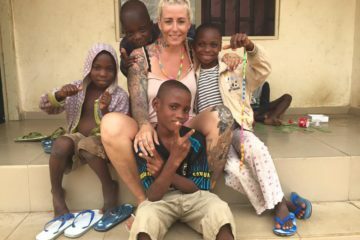 This young Danish woman has dedicated her life to saving Nigeria’s ‘witch children’. From one day to the next these children are branded a witch, ousted from their families, often tortured, sometimes murdered. Outraged at the horrific practice, Anja moved to Nigeria to rescue accused children. She then homes those she saves in an orphanage and seeks to overcome the horrors they’ve endured with the healing power of love. Evie Farrell was drowning in the Sydney rat-race, disconnected from her five-year-old daughter and yearning for something more. After the unexpected death of a friend she decided enough was enough. 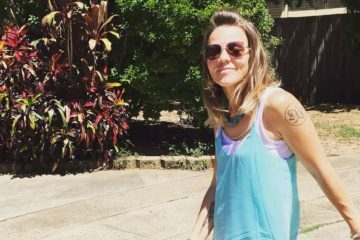 She quit her job, rented out her house and embarked on an 18-month travel adventure to reconnect with her daughter. 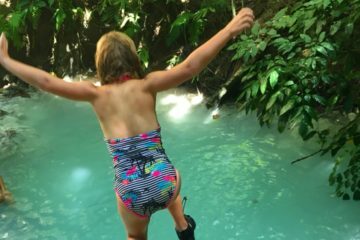 She has gained so much from the experience that she now urges other mums to unleash the chains of convention, swap possessions for memory-making and embrace the rich tapestry of experiences that travelling as a family can offer. 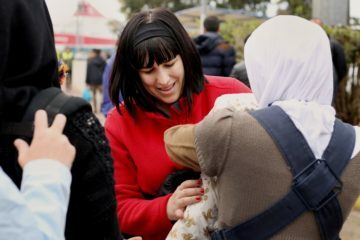 Shocked at the horrors of the Syrian refugee crisis, a young American mother is easing the burden for thousands of refugee families by donating thousands of baby carriers to people fleeing their war-ravaged homes. 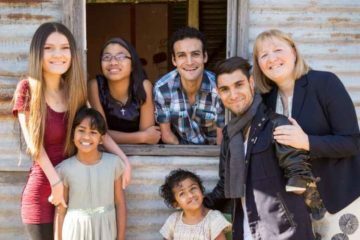 Through her now burgeoning charity Carry the Future, Cristal has not only helped refugees but also been personally transformed from a cynic to someone who is continually amazed by people’s genuine desire to do good in the world. 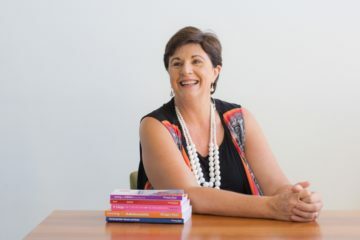 Parenting educator and author Maggie Dent has earned the love of a nation’s parents for her funny, practical and insightful advice on how to raise healthy and resilient children. What life path has Maggie travelled to become such an advocate for saving our stressed-out modern-day kids? American dance instructor Lucy Wallace is transforming criminals serving long-term or life sentences by introducing them to the magic of dance. In doing so, she has forged powerful relationships with people she’d previously regarded with fear, had her preconceptions shattered, and discovered the beauty in regarding fellow human beings as they are, without the weight of judgement.